Found includes vintage quilts from Roderick Kiracofe’s collection, as well as pieces from the collections of Marjorie Childress, Julie Silber and Allison Smith. 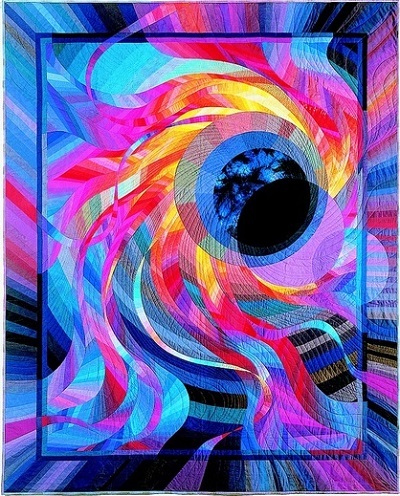 Made includes contemporary quilts often constructed with found materials, as well as contemporary art based on quilt themes. This video explores the entire exhibit. Check it out! Listening to the Moon is at Hartness Library, East Gallery in Randolph Center, Vermont, through October 12, 2015. Featuring a selection of fifteen pieces made over nine years, this solo exhibition surrounds Elizabeth Fram’s ongoing fascination with Japanese gardens, in tandem with the lessons inspired by studying them. This is still my favorite quilt. 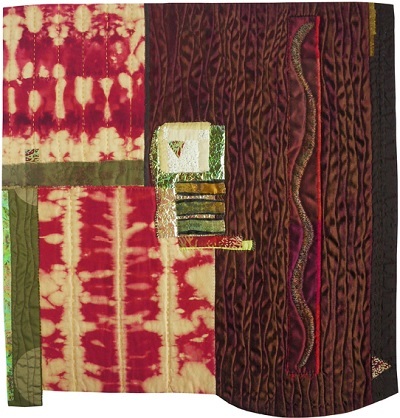 Caryl Bryer Fallert’s career as an innovative quiltmaker and award-winning fiber artist spans more than thirty years. The New England Quilt Museum is thrilled to bring together many of her iconic works for this exhibition, as well as her first quilt, works from her early experimental stages, and a sampling of her original fine art quilts that grace the walls of museums across the country. 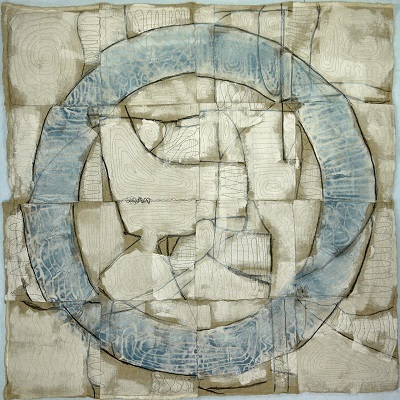 This solo exhibition features textile paintings by artist Lisa Call. This national exhibition showcases the best work of artists who are pushing the limits of the medium, working with new techniques and materials, and creating breathtaking and beautiful art. You are currently viewing the archives for August, 2015 at Woodhaven Studio's Weblog.